The Milwaukee Road's passenger station in Madison, Wisconsin was quite an attractive structure. As late as 1970 it was served by three trains a day each way between Madison and Chicago. 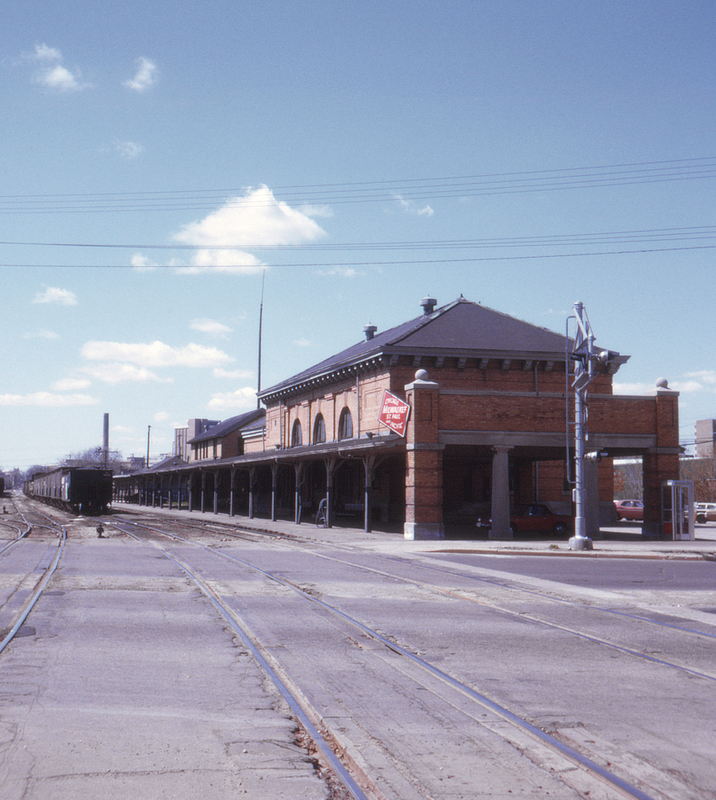 In 1973 it was only served by a daily Amtrak connecting bus to and from Columbus, Wisconsin, where riders could catch the Hiawatha Service trains as well as long distance trains such as the Empire Builder and the North Coast Hiawatha.